Item Number: 166-6-12 18710 Actual Weight: 6.5 lbs. Provides protection from chemicals, liquids, and other non-hazardous particulates. Strong polypropylene is lightweight and comfortable. 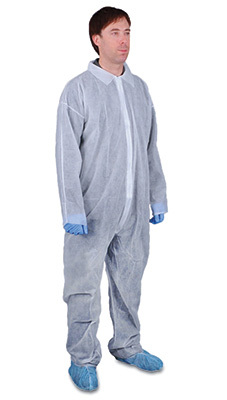 Coveralls have zipper closure, fold down collar, and open hands and feet.